Celebrate the most magical time of the year with this special edition of the irresistible holiday movie inspired by Disney's beloved classic. 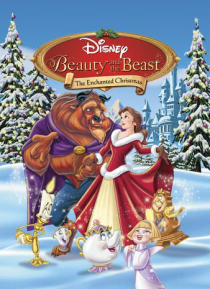 Share the wonder as Mrs. Potts recounts another "tale as old as time" about a Christmas past that almost wasn't - thanks to the scheming of former court composer Forte who is determined to keep Belle and Beast apart forever. This enchanting adventure boasts … exciting bonus features, delightful songs, spellbinding visuals, and enduring themes of hope, friendship, and love. Your family will enjoy the spirit of the season all year long with the timeless magic of Beauty And The Beast: The Enchanted Christmas.